Despite the fact that more than 2,000 studies1 have been performed on coconut oil, demonstrating a wide range of benefits, it continues to be wrongfully vilified to this day, mainly because 90 percent of its fat content is saturated fat. 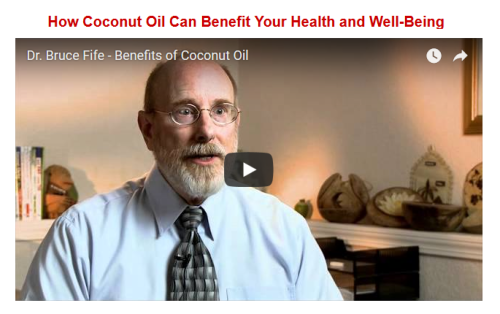 However, saturated fats, and most particularly coconut oil, are an important part of the human diet. If you have bought into the media hype that saturated fats are unhealthy and will raise your risk of heart disease, it may be time to reconsider your position. Another study3 focused on the Kitava in Papua New Guinea. Besides eating a lot of fish, fruit and tubers, coconut is also a prominent staple. None of the indigenous people in this study reported stroke, sudden death, chest pain or discomfort due to coronary heart disease (CHD). Maintain healthy, youthful looking skin. Applying coconut oil topically benefits your skin, reducing the appearance of wrinkles and fine lines as the oil keeps your connective tissues strong and supple. Limited evidence also suggests it may boost collagen production,9 although the mechanism of action is unknown. According to Dr. Cate Shanahan,14 a family physician and author of “Deep Nutrition: Why Your Genes Need Traditional Food,” the AHA’s message “is not only false, it is dangerous,” noting that the AHA is actually making false claims since none of the studies included in their analysis involved coconut oil specifically. It’s also worth noting that most of the early studies on coconut oil that found less than favorable results used partially hydrogenated coconut oil, not unrefined virgin coconut oil.15 Hydrogenated oil is not the same as unrefined oil, even when you’re talking about something as healthy as coconut. This little detail is what led to the undeserved vilification of coconut oil in the first place. Coconut oil provides a mix of all of these MCTs, but the longer chained C12 (lauric acid) makes up over 40 percent of it. (The exception is fractionated coconut oil, which contains primarily C8 and C10.25) Lauric acid is most well-known for its antibacterial, antimicrobial and antiviral properties. Since it’s a longer chained molecule, it does not increase ketone levels to any significant degree.